How do I acquire more ideal clients starting today? What is a simple way to implement immediately to grow my business? What is the best process to find them? Monday morning when you go to your calendar and you don’t see a lot of potential new ideal clients, what do you do? I would start by setting up appointments with some of your ideal clients, either for a progress update meeting or for a coffee. The goal here is to help people in other areas of their lives and become the quarterback, and meet new centers of influence. How many centers of influence do you work with for favorable introductions or give you referrals? Do they know how to do favorable introductions and have a process? This may be an opportunity ! Would you like more? In your progress update meetings, ask your clients about their team, which I call the magic six. If you are giving out or getting 6 names at every client meeting, there is alot of people to conect with to give and get favorable introductions from. Turn 20 top clients into 120 people to give or get centers of influence contacts. Have a process and use privacy rules to collect and share the information. The most interesting thing happened to me when I shared my value promise document and case studies of some of my top clients to a group of centers of influence. I wanted to showcase our value. I invited a dozen centers of influence to a luncheon. At the end of the luncheon three of the twelve centers of influence came up to me and wanted to become my client. That was not the goal, it was actually better than the goal which was to build a referral team. Next Monday ask for the magic six from your ideal clients. It is a process and the top advisors always have a process. 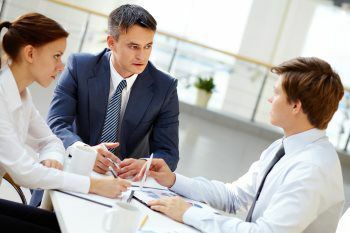 The easiest way to make it a process is to put "quarterbacking" discussion on your agendas with clients and have a worksheet attached called, "The Quarterbacking worksheet" with the six fields listed. Now you have a simple yet, executable process.